Whether you need to keep people in or out, restricting public access has never been easier with Temporary Pedestrian Barrier. Buying temporary fencing could prove costly, but now there is an easy solution. Find out how we can help you control the crowds by viewing our range of fencing. Why Hire Pedestrian Barrier From Lakeside-Hire ? All you need to do is pick up the phone and our experts will be waiting to advise you on the very best equipment for the job. And if you hire security fencing, it means that you do not need to worry about transportation and storage, we’ll do all that for you. 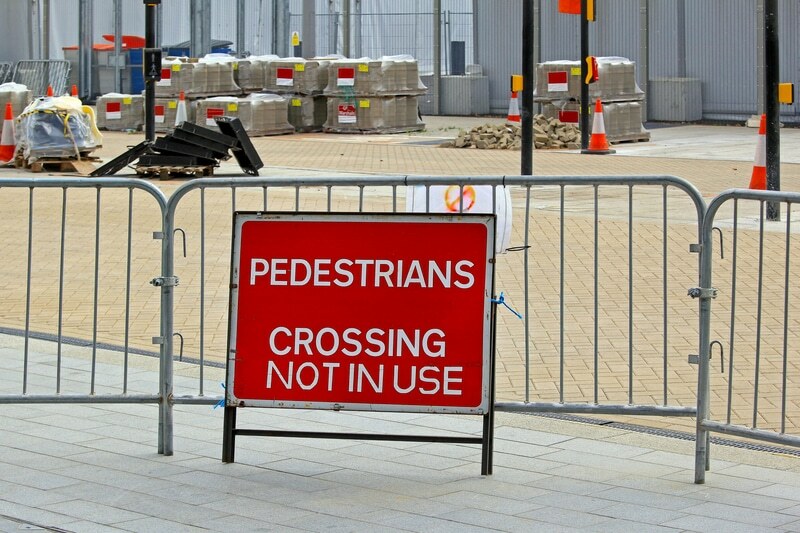 Whether you are managing a major event or working on a construction site, pedestrian fencing is an important tool to restrict access and help you keep members of the public safe. Temporary Pedestrian Barrier is the ideal equipment for crowd control, it is great value for money and can be assembled in literally seconds. It is durable, extra tough and impenetrable making it impossible to climb giving you ultimate peace of mind especially on construction sites where there is often expensive and dangerous machinery. And spending out on hiring security barriers could save you a fortune in the long run. Last year more than £1 million worth of tools disappeared from construction sites across the UK. Construction sites can be dangerous places. If you are working on a building site not only are you legally duty bound to protect the public by making access impossible, it is also key to protect your equipment and tools especially out of hours, during the evenings and weekends. A construction site can seem like an adventure playground to some youngsters especially when there is no-one around and countless children are injured accessing sites out of hours. In an ideal world fitting CCTV or even employing a night watchman would be the perfect answer to security problems but both are pretty expensive options. Be safe and make sure you meet all the health and safety regulations. Call us today and we will deliver your temporary barrier fencing tomorrow – guaranteed.